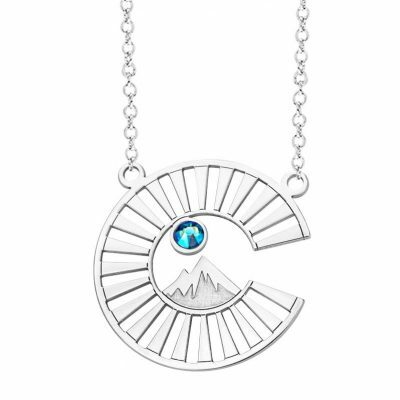 This charming silver pendant from our exclusive Colorado Collection is precision cut to offer an open work with negative spaces that allows the interaction of lights and shadows to give depth to the design. 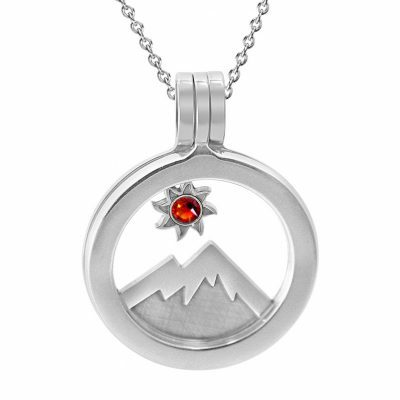 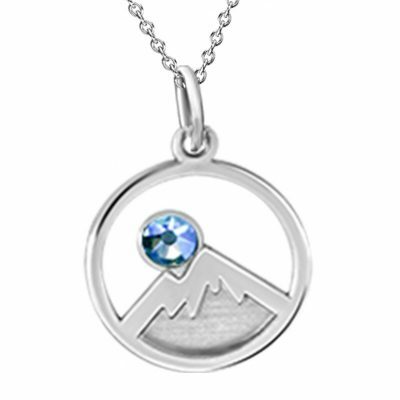 Mountains are deep engraved, and the sun above the mountains is iluminated by a topaz red Swarovski crystal to celebrate the beauty of the Colorful Colorado with its magnificent scenery and over 300 days of sunshine a year. 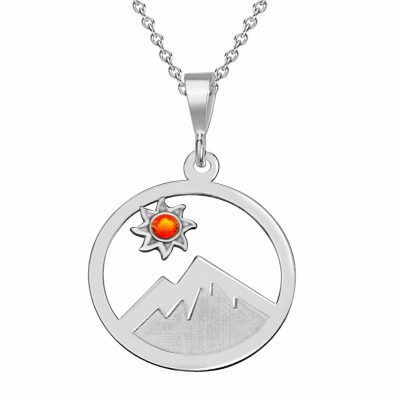 Layer with other pendants from our store for a different look.